If you want to mount or map a drive letter to a Synology NAS over the Internet, the easy way, I have good news for you! With a free nifty little utility called DriveMaker you can simply connect to your NAS over the internet and the tool maps a real drive letter to the files on your NAS. 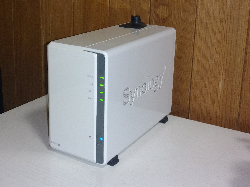 You can edit, copy, delete, and upload files as if the Synology NAS on the internet were local. There is no need to download files and upload files with FTP clients or other software. DriveMaker does it all in the background and also includes several security options to make the transfer, well, secure. edit files in place, which is very useful if you are dealing with Word, HTML, Excel, etc. Word opens and saves the file as it were local. You can download DriveMaker from their website and read more about it here. Do you need a NAS backup solution? You could use BackupChain for that instead of mapping and mounting remote drives, because it’s way more efficient, practical, and easy to manage. Above all BackupChain makes sure all files are processed and uploaded properly with version control, unlike the NAS built-in sync functions, which aren’t that reliable, especially with very large files and large folder structures. XPS (Extruded Polystyrene) versus Fiberglass Insulation: Is it Better?